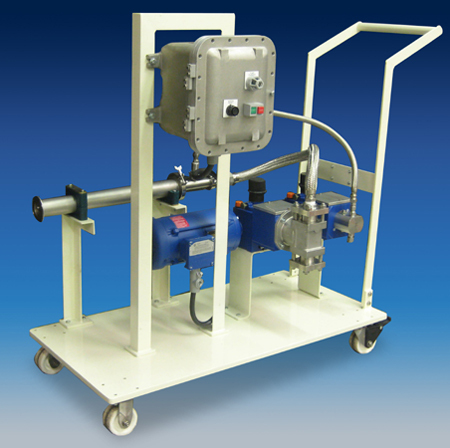 Charles Ross & Son Company, the leader in specialty mixing and dispersion equipment, is now offering complete skid mounted static mixing systems. The available mixer designs include the LPD, a low-pressure model typically used for low viscosity turbulent flow mixing of fluids and for gas-liquid mixing. This design is offered in many materials of construction and to 48 inches diameter. These mixers are easily customized to include special feed nozzles and injectors for major and minor product streams. The second design, the ISG is includes specially machined elements with passageways that guarantee the mixing of any pumpable material. After passing through ten elements the ISG will layer materials over 2,000,000 times to provide a microscopically layered mixture. ISG elements are stackable in any quantity to provide mixing quality as needed in the process. The ISG is supplied in a range of cast or machined materials to suit the application through 12 inches diameter.